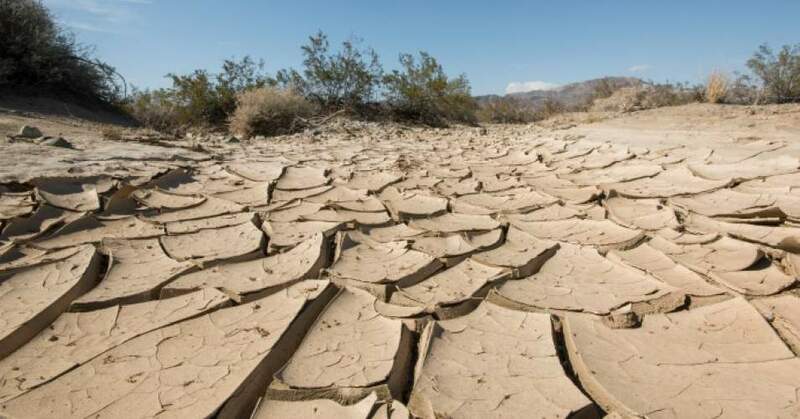 In a new study that adds to the lengthy and ever-growing list of potential consequences of global climate inaction, scientists warn that around a quarter of the Earth could end up in a permanent state of drought if the planet warms by two degrees Celsius by 2050. "Our research predicts that aridification would emerge over about 20-30 percent of the world's land surface by the time the global mean temperature change reaches 2ºC," said Manoj Joshi, one of lead researchers of the study, which was published on Monday in the journal Nature. Scientists have for years linked widespread and more intense droughts to human-caused climate change. The only way to avoid these conditions is to limit global warming to 1.5ºC, Joshi concluded. "The world has already warmed by 1ºC," added Dr. Su-Jong Jeong, a researcher from China's Southern University of Science and Technology. "But by reducing greenhouse gas emissions into the atmosphere in order to keep global warming under 1.5ºC or 2ºC could reduce the likelihood of significant aridification emerging in many parts of the world," including Central America, Southern Europe, Southern Africa, Southern Australia, and Southeast Asia—home to more than 20 percent of the world's population.